I really have been doing Buford Highway a disservice. For as much time as I spend on that stretch of road, I’ve only paid attention to the Asian eateries. Sure, you can spend weeks going through the Chinese, Korean, and Vietnamese restaurants, but then you would be, like me, ignoring half of what Buford Highway has to offer. Thankfully there are things that slap you back into shape. This time that impetus was Aaron’s apprehension to an obscene amount of Asian cuisine. Between my sister and me, we could eat eastern cuisine for damn near every meal, Aaron…not so much. So in an effort to give Aaron a break from the litany of soy drenched dumplings, the three of us decided to visit a little of the other half of what Buford Highway has to offer. Of course, just as you can get lost in the near endless collection of pho joints, it’s just as easy to lose your senses when trying to choose a taqueria. Thankfully, the reigning queen blogger of Atlanta, the Blissful Glutton had just the place: El Senor Taco. Even though El Senor Taco is making waves for their fish tacos, I was decidedly more interested in some of their other taco choices. 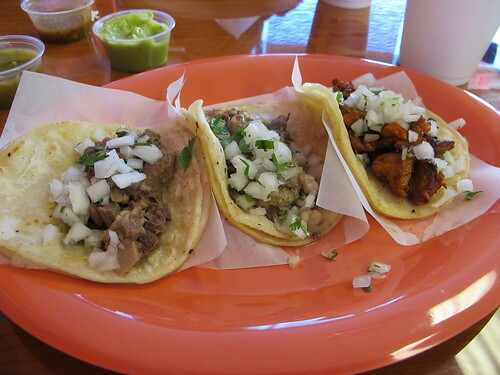 Working from left to right, there was a tongue taco, then a cheek, and lastly a pastor taco. 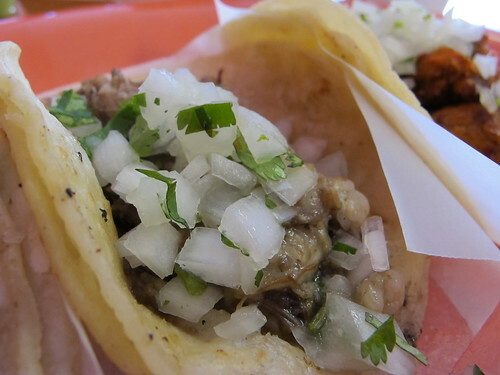 It may be relatively benign, but I thought the Pastor taco was an excellent place to start. 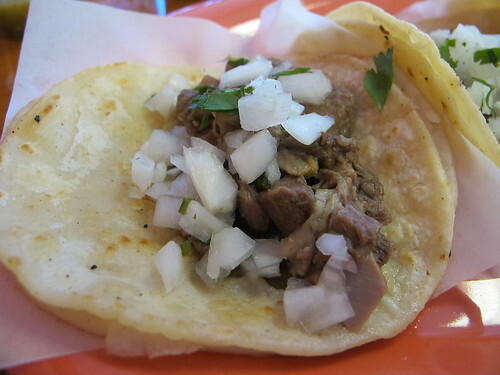 Wrapped in a rather doughy, prepacked tortilla shell, this was a juicy meat filling but a little on the fatty side. On it’s own, the pastor possessed a subtle spiciness, but when dressed with the salsa verde, the spice and flavors were amplified and delicious. The cheek taco was next. As you’d expect, this was meltingly tender. Tasty on its own, the cheek taco was only improved with the salsa. 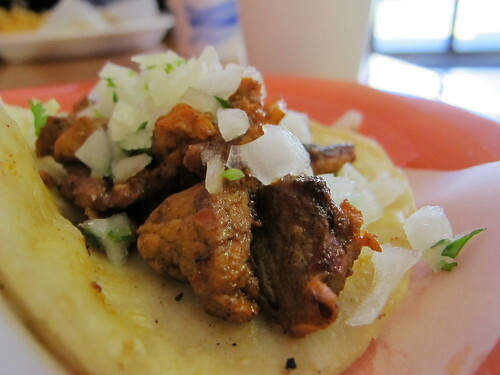 Tongue is one those meats that doesn’t get enough credit. 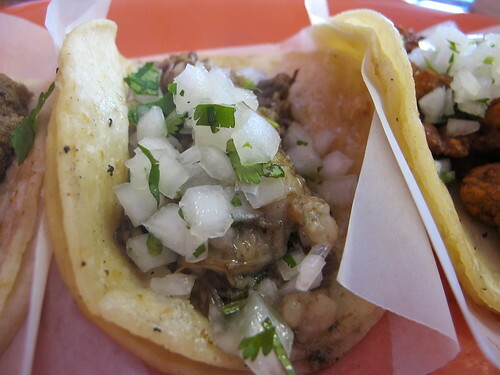 Sure, this tongue taco was tender and tasted like an amazing helping of pot roast, but it still gets no respect. As you might have guessed, things only got better with the addition of salsa verde. 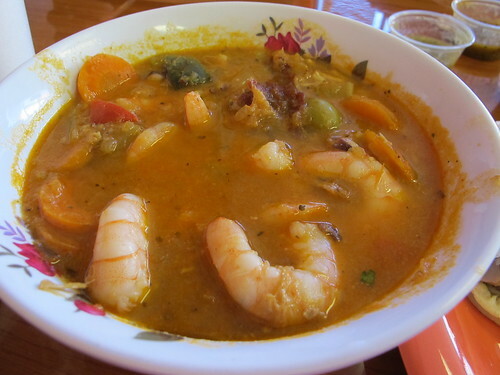 While tacos might have been the main attraction to El Senor Taco, I was quite interested in the Sopa de Mariscos. Outside of menudo, I haven’t delved too deep into the varieties of Latino or specifically Mexican soups, but I wasn’t quite expecting a soup like this. The flavors I associate with Mexican cuisine (e.g. cumin, Mexican oregano), just weren’t really there. Instead this was a delicious soup that I couldn’t really pigeonhole. 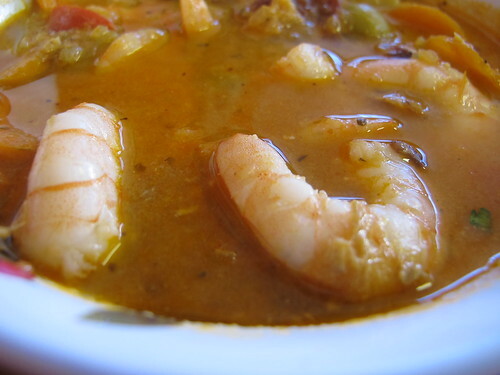 Overflowing with plump shrimp, flecks of crab meat, and plenty of small, albeit chewy squid slices, this soup was also rife with tomatoes, carrots, olives, and celery. Combined with all that seafood and vegetation, there was also spiciness to the background, but the real attraction was the sheer depth of flavor. Attention was paid to the construction of this soup and it showed. Despite ordering a huge quantity of food, it was at the register where the true beauty of Buford Highway shone through. After three types of tacos and a huge bowl of seafood soup, in which I barely made a dent, there was barely a dent made in my wallet. While I may not have ordered the fish taco, Aaron did and I heard excellent things. 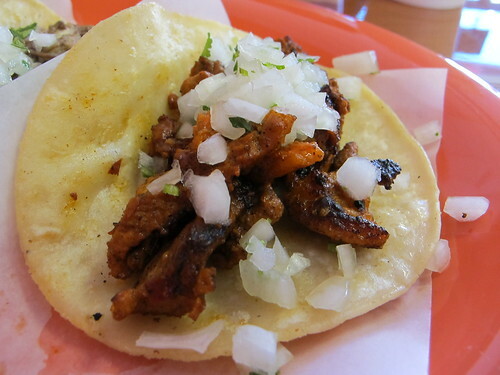 So while I may still prefer the Asian offerings of Buford Highway, El Senor Taco has given me plenty of reasons to explore the other half. Now I just need to try that fish taco.